Remakes and reboots for still in fashion these days, and Dynasty Warriors conglomerate Koei Tecmo have announced that they will be putting out next year Bladestorm: Nightmare, a current-gen remake of 2007’s Bladestorm: The Hundred Years War. Bladestorm: The Hundred Years War was originally released seven years ago for the PlayStation 3 and Xbox 360 to mediocre reviews and general ignorance from the community. The concept of the game was fundamentally similar to Dynasty Warriors, in which the player roams around the raging battlefield slaughtering enemies. The player has his or her own avatar to do battle with, but is also accompanied by a platoon of soldiers that can be commanded to perform specific attacks and other maneuvers. As the title suggests, the game is set during the Hundred Years’ War between England and France during the 14th and 15th centuries, and allows players to choose which of the two factions to fight for. The upcoming remake, aside from the obligatory graphical overhaul and gameplay tweaks, will also include a new ‘Nightmare’ mode. Here, players indulge in their historical fantasy excesses by choosing from 32 playable real-life characters such as Joan of Arc, Edward the Black prince, and Étienne de Vignolles, aka La Hire, and do battle with a plethora of mythological and fantastical creatures. Koei Tecmo haven’t released more detailed facts on Nightmare beyond this, but will have a playable demo for anyone to try at this week’s MCM London Comic Con from October 24 to 26. 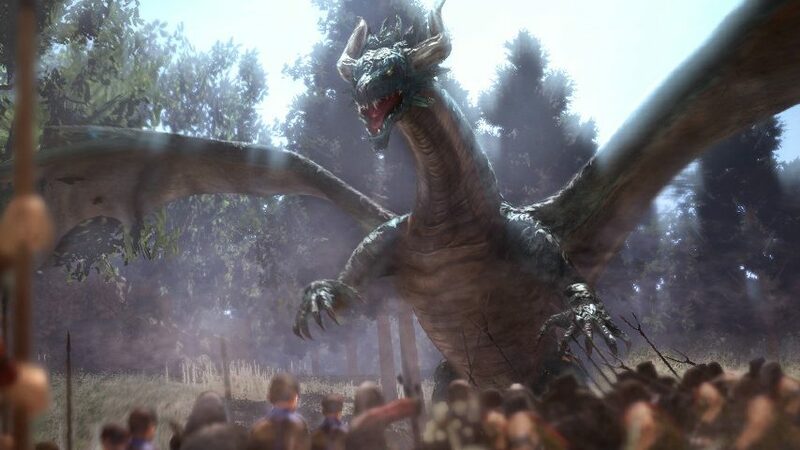 Bladestorm: Nightmare is expected to arrive for the PlayStation 4 and Xbox One early next year.